AIRFLOWW: Short Films for a Chamber Concert is a site-specific film program in its second year, organized for PFCM's concert at the Latchis Theater, an historic cinema in Brattleboro. Shifting the audience's focus from the acoustical environment of the chamber concert to the visual, image-centered work of film, AIRFLOWW provides a meditation on sound, music, and narrative through the lenses of six visual artists. 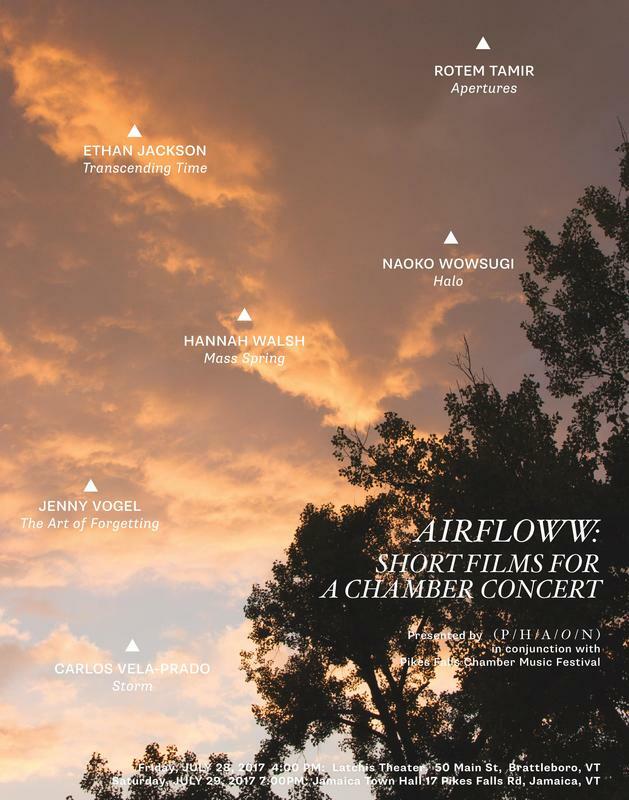 Ethan Jackson, Jenny Vogel, Rotem Tamir, Carlos Vela-Prado, Hannah Walsh, Naoko Wowsugi each contribute short films to create the 12 minute film program AIRFLOWW. 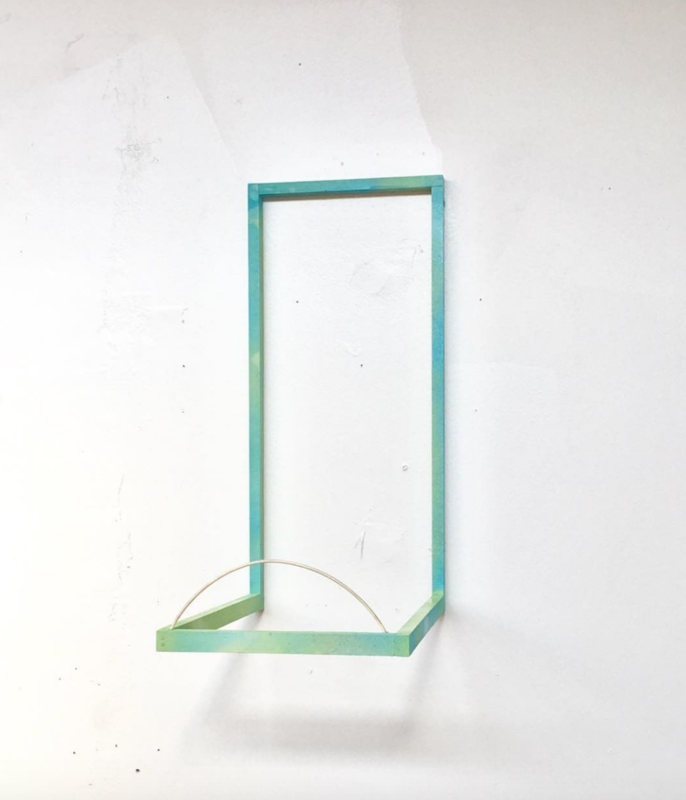 PFCM artists-in-residence Andrew Brehm and Jennifer Lauren Smith curated AIRFLOWW. A second screening of AIRFLOWW will take place at the Jamaica Town Hall concert on Saturday, July 29th at 7pm. This season, PFCM artist-in-residence Natasha Loewy and intern Kaitlyn Dougher exhibit sculpture and photography in the Jamaica Town Hall. The exhibit opens with the first PFCM Town Hall Concert on Saturday, July 29. This exhibit marks the 6th PFCM Town Hall visual art show by 6 visual artists from across the country. Next summer, the festival will introduce a visual art residency for 2 weeks preceding the music portion of the festival. The residency aims to provide facilities for a growing number of visual artists, and a vehicle for collaboration between the artists. The residency will culminate with an exhibit of the art created in Jamaica. To discuss goals and ideals of the visual art program at Pikes Falls, contact Natasha Loewy.